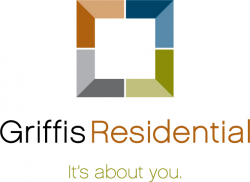 Griffis Residential owns and manages a distinct portfolio of attainable high-quality apartment communities in premier locations. Our motto is simple: It's about you. Impeccable service is the hallmark of our team and delivering the highest quality guest experience is our priority.